Only a few days are left before the opening round of the Blancpain GT Series Endurance Cup 2016, race scheduled for this coming weekend at the Autodromo Nazionale of Monza. I.S.R. racing will be present with its Audis R8 LMS: n.75 driven by Filip Salaquarda (CZ), Audi's works driver Frank Stippler (GER) and the rookie Marlon Stockinger (PHL) competing in the PRO Cup. n.74 will be fielded in PRO-Am with Endurance Cup and FIA GT3 European Championship protagonist Philippe Giauque (CHE), GTE vice-champion of ELMS 2015 Henry Hassid (FRA) and GTC title winner of ELMS 2015 Franck Perera (FRA) sharing the cockpit. The race of Monza is going to be quite exciting with 57 entered cars featuring top class names ready to challenge each other for the first win in the most important endurance championship for GT cars. The weekend will kick off on Saturday 23rd with Bronze Tests at local 9:00 (GMT+2), the only free practice session will follow at 11:00 and the Pre-Qualifying session will begin at 16:25. Qualifying will take place on Sunday at 9:00 and will build up to the spectacular three-hours long Main Race starting at 15:00. The series will be covered live in Europe by Motors TV, while Eurosport, Bloomberg and other networks will show the highlights of the race. Eurosport, Bloomberg and Fox Sport 3 will grant coverage to the event in Asia. The official web site www.blancpain-gt-series.com and MotorTrend will provide internet live streaming of the event. "The first race of the Endurance Cup in Monza is always full of excitement. After our debut year, we now aim to become protagonists of the Blancpain GT Series Endurance PRO Cup, the category where Filip, Frank and Marlon are certainly a great lineup, but also of the PRO-AM Cup, where Philippe, Henry and Franck will definitely have their say. We aim to score the first points of the season with both cars, but will try and fight for the podium if possible". 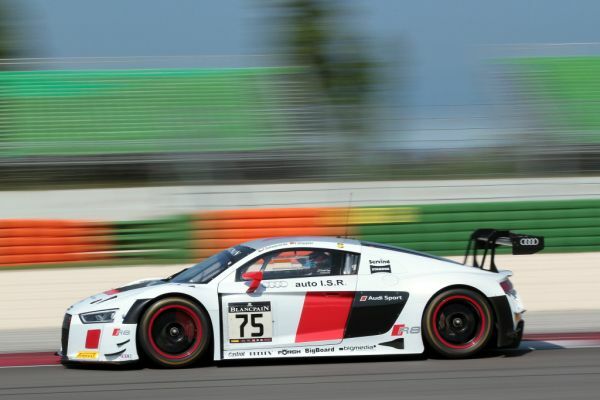 Season kicks-off with victory for the Belgian Audi Club Team WRT!